Hemp Extract, or CBD, is used to help people potentially treat many conditions like anxiety, pain, inflammation and more. Did you know CBD may have the same therapeutic benefits for pets too? We make our premium CBD Pet Oil from organic-certified, superior quality Industrial Hemp. 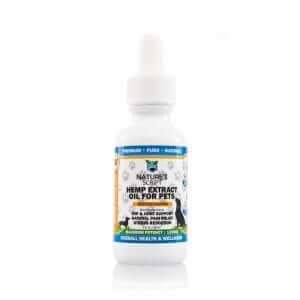 Nature's Script Pet Oil packs an array of valuable medicinal properties for your beloved companion. Pet owners commonly use our oil to potentially treat hyperactivity, chronic pain including arthritic pain, separation or situational anxiety, skin disease, allergies and more. Our Pet Oil is designed specifically for pets, and we add delicious flavors of rich beef and roasted chicken to our pet products. Experience how a daily dose of CBD may promote your pet’s overall health and behavioral wellness.